Ready or not, the holidays are almost upon us! Kids count the days with eager anticipation while you count the days with dread. You promised yourself last year that your holiday finances wouldn’t ruin your mood, but you’re already feeling like the Grinch. You need ideas on how to take control of your finances this holiday season. If you’d prefer more green in your wallet and less red in your holiday finances this year, take heart! There’s plenty of advice on how to take control of your finances. You can take your pick from four quick tips up to a dozen, one for each day of Christmas. You’ve probably heard it all before. You know what you’re supposed to do. However the advice is packaged, you know it basically boils down to one tip: make a budget! The problem is sticking to it. Whether you’re celebrating Thanksgiving, Hanukkah, Kwanzaa, Festivus or Christmas, the holidays are meant to restore our spirits in the cold and dark of winter. People of goodwill want to spread cheer, and it’s easy to get caught up in the spirit of giving. Sometimes our wallets aren’t as big as our hearts, and we give beyond our means. It doesn’t take much for your holiday finances to run amok. Gifts. In order to take control of your finances, you might need to take control of your gift lift first. Has your extended family grown too large? Perhaps this is the year all the adults need to draw names. Be honest, do you remember half the gifts you received last year? Place a limit on individual gifts and your gift budget overall. Food. Food and the holidays go together. Your holiday finances need to reflect an increase in the grocery budget. How many dozens of cookies will you bake or buy? You need some for the kids’ parties at school, the break room at work, the mail carrier, the hairdresser, and the next-door neighbor. You’re going to need more sugar! Travel. If grandmother’s house is only over the river and through the woods, your budget won’t be taking a big hit. However, if you’re arranging a cross-country flight for a family of four, you need to plan ahead. Taking a holiday ski trip? Heading to the Bahamas? Vacationing over the holiday can take a big bite out of your holiday finances. Clothing. When you’ve gone to your “go to” holiday outfit one time too many, it’s time to replace it. The kids have obviously grown since last year, so it’s new clothes for the whole family for the annual portrait. Don’t forget the shoes. Holiday decorating. Trees, real or artificial, can be costly. And unless the look you’re going for is minimalist, you need ornaments, lights, and tinsel. You need a wreath for the door, outdoor lighting, and a centerpiece for the dining table. When you haul the decorations out from storage, you wish you had taken advantage of the after-Christmas sales to replace the worn out items in your collection. Plan to do it this year! Now that you’ve listed everything you need for your dream holiday, it’s time to put hard numbers to it. Is it realistic? If your projection is half of your income, you might need to reassess your holiday wish list! If you’ve put together a bare-bones budget, your challenge might be sticking to it. You make a budget to guide you, but you need to manage your holiday budget as you go. Have an extra houseguest? That’s additional food and another gift to add to your list. Your holiday finances need to adapt to the changes! Picture-perfect magazine images of holiday tables are much too costly for anyone but the super-wealthy. Face it; Martha Stewart you aren’t! Swallow your pride and suggest a potluck-style family gathering. Focusing on the relationships around the table instead of the china will ease your holiday finances. While it’s fun to see the outrageous gifts Neiman Marcus has to offer, consider gifts from the heart. Don’t teach your children that a price tag is an indicator of how much you love them. The most valuable gift you can actually give them is your undivided time. That goes for grandma and grandpa, too. How else you can tighten your spending? If you trim those pumpkin chai drinks or peppermint lattes, you can use your savings to splurge elsewhere. And you might even trim the holiday weight gain in the bargain! Another way to manage your holiday budget is to think outside the box. When you forego your latte, how about putting those dollars into a red kettle? Include giving to charity in your budget. And how many holiday parties do you really want to attend? If the holiday is about spreading cheer, consider volunteering at a soup kitchen. You can spend time with family and friends while doing something for someone else. By now you should be thinking that the sooner you start saving for holiday spending, the better. Waiting until November just won’t cut it. Here’s where United Financial can help you develop a new habit that will pay off big: join our Christmas Club! Your Christmas Club account builds throughout the year as automatic deposits are made. You won’t be tempted to spend what doesn’t end up in your checking account. You decide the amount that works for you. There are no fees or minimum balance requirements. Your account earns interest all year so you’ll have a tidy sum for your holiday finances come November. If you didn’t have the foresight to set up a Christmas Club account last year, no worries, United Financial can help make the spirits bright with our low-rate Holiday Loan! A Holiday Loan helps you with the cost of holiday shopping and celebrations, finances a holiday trip, or helps complete projects around the house – or anything else you need! With rates and terms more flexible and affordable than in-store credit cards, holiday spending won’t put you in a financial tangle. You can continue to struggle paying your holiday bills, or you can call on United Financial to set up a Holiday Club account or for a low rate holiday loan. Check us out online or in person. 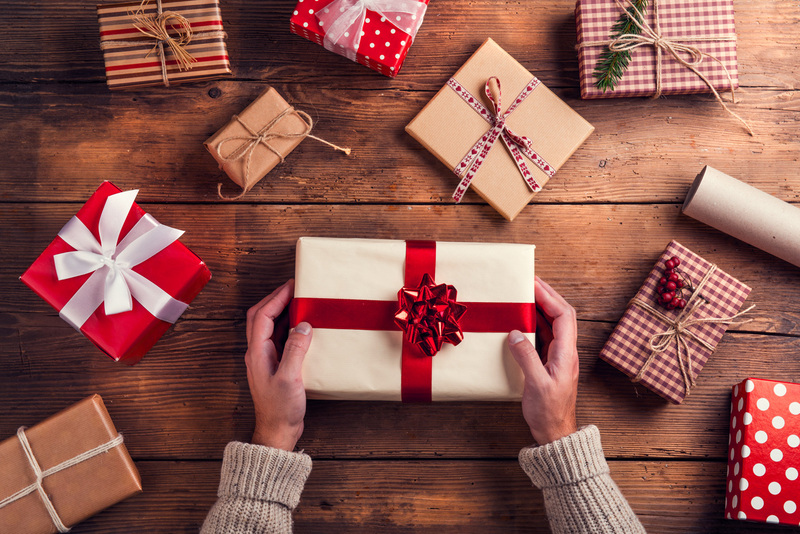 The holidays may be for the young and the young-at-heart, but it’s time to be the grown-up and figure out what you can spend realistically. Stop into any of our branches and we can get you set up right away. We can help you figure out how much you need to set aside to meet your goal. Our financial planners can also help you assess your overall budget not just manage your holiday budget.